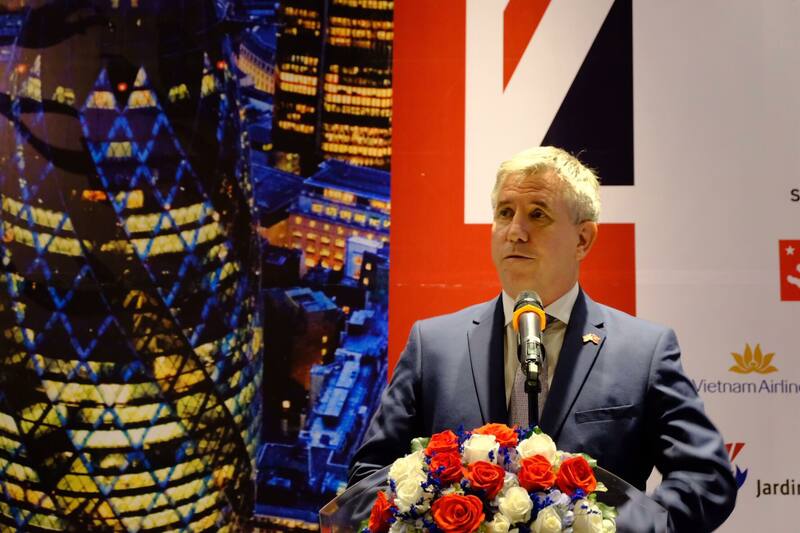 Infrastructure, healthcare and education are among the top sectors for cooperation between the UK and Vietnam, British Consul General in Ho Chi Minh City Ian Gibbons has said. Gibbons talked with Tuoi Tre News on the sidelines of a business reception for major British and Vietnamese companies in the city on Sunday. 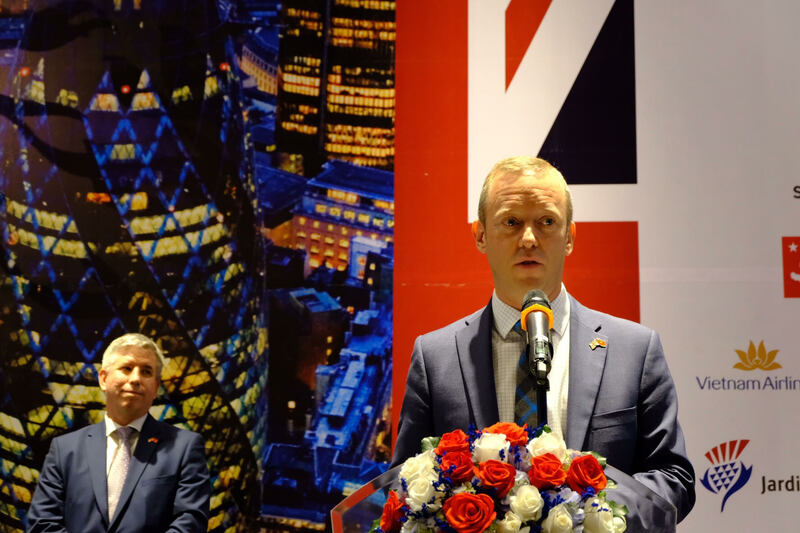 The reception was held as part of the GREAT campaign, a series of events jointly launched by the British Embassy in Hanoi and the Consulate General in Ho Chi Minh City to celebrate 45 years of diplomatic relations between the UK and Vietnam. 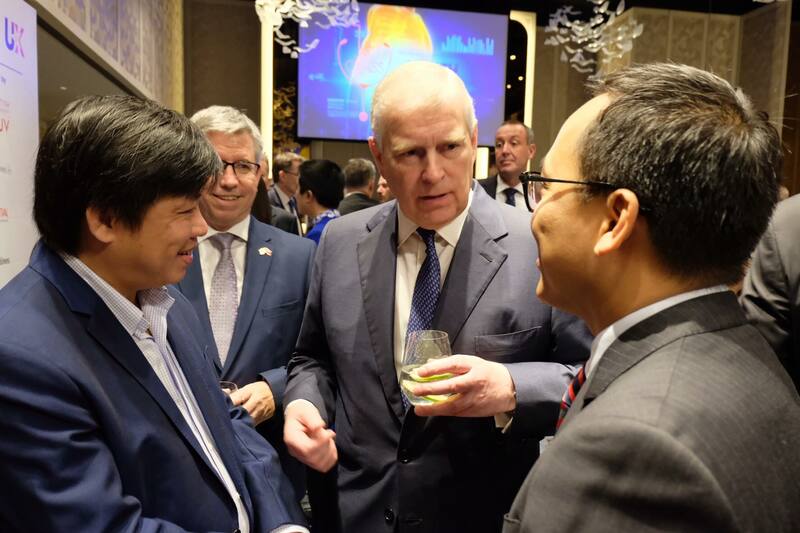 Britain's Prince Andrew, the Duke of York, who is on a December 2-4 visit to Vietnam at the invitation of Deputy Prime Minister and Minister of Foreign Affairs Pham Binh Minh, also attended the event. “And if you look into those sectors, you can all break them down into sub-sectors,” he added. “It’s not just what the UK can do here, but also about partnership and collaboration. And that’s why we both succeed as a country,” he told Tuoi Tre News. Speaking of Sunday’s business reception, Gibbons said the event was another example of how close the relation between the UK and Vietnam is from the political, commercial and bilateral perspectives. “So we have strategic dialogue from government to government, but we also have visits by UK companies and individuals in key sectors,” he said. With the UK set to withdraw from the European Union (EU), Vietnam is considered one of the country’s best choices for alternative markets in the Association of Southeast Asian Nations (ASEAN), according to the consul general. Vietnam is now the UK’s third-largest trade partner in ASEAN, accounting for 14.9 percent of the total trade between the European country and the bloc, according to the Future Options for the UK-ASEAN Economic Relationship research. Newly-arrived British Ambassador to Vietnam Gareth Ward, who also attended Sunday’s business reception, shared with Tuoi Tre News the three areas that would be crucial to the cooperation between the UK and Vietnam. “The first is in education, and that’s not just Vietnamese travelling to the UK to study at British universities, but now it is British universities working with Vietnamese universities to improve research and to offer degree training programs to Vietnam, and that is pretty exciting,” he elaborated. The second area of cooperation, he added, is global cooperation. The British army is working with the Vietnamese military to train peacekeepers who would be working for the United Nations, for instance, in South Sudan and Africa. Ambassador Ward said the final area is trade cooperation, with the two countries’ annual bilateral trade now estimated at US$5 billion. “But we would like that to grow, so we are encouraging more British companies, including small and medium-sized enterprises, to export to Vietnam,” he underlined. Vietnam – UK relations have recently witnessed several significant developments. In October, Vietnamese Deputy PM Minh visited the UK and ended his trip in London with a noteworthy joint statement with UK Foreign Secretary Jeremy Hunt, in which they agreed to strengthen the strategic partnership between the two countries.